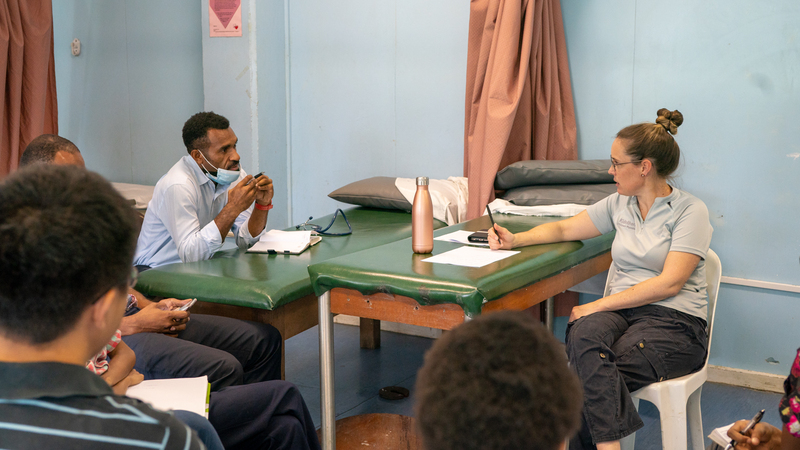 Training and skill transfer is the major focus of our project in Papua New Guinea. 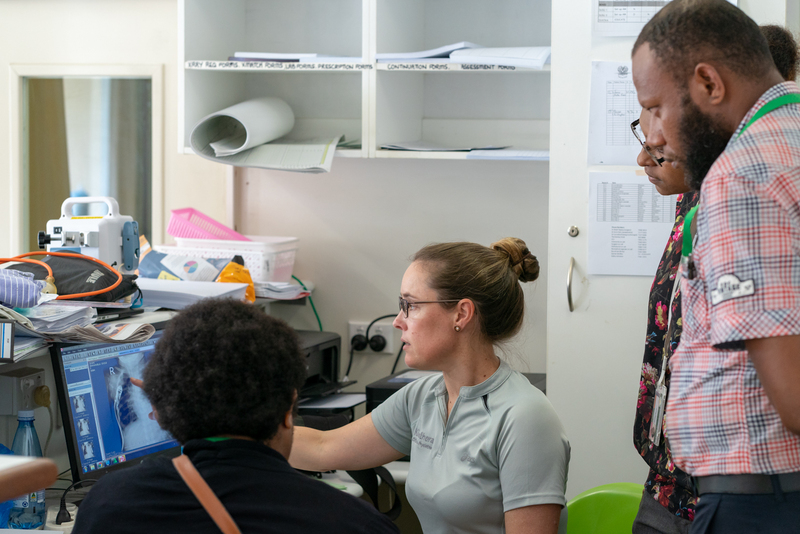 Enthusiastic staff often sign up for any chance they get to learn more from the visiting health professionals that are on Open Heart International (OHI) trips. 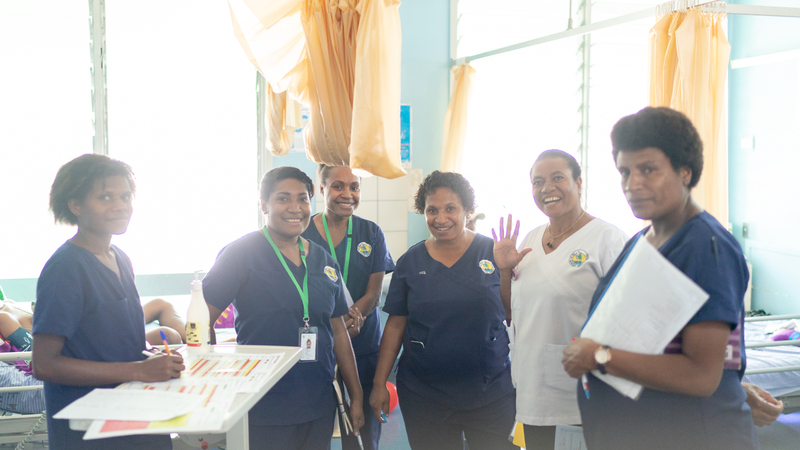 Local staff perform the majority of the tasks while OHI staff stand back as reassurance or a helping pair of hands. Renee Bowran, the physiotherapist of our team has taken a couple of the local physios around today. 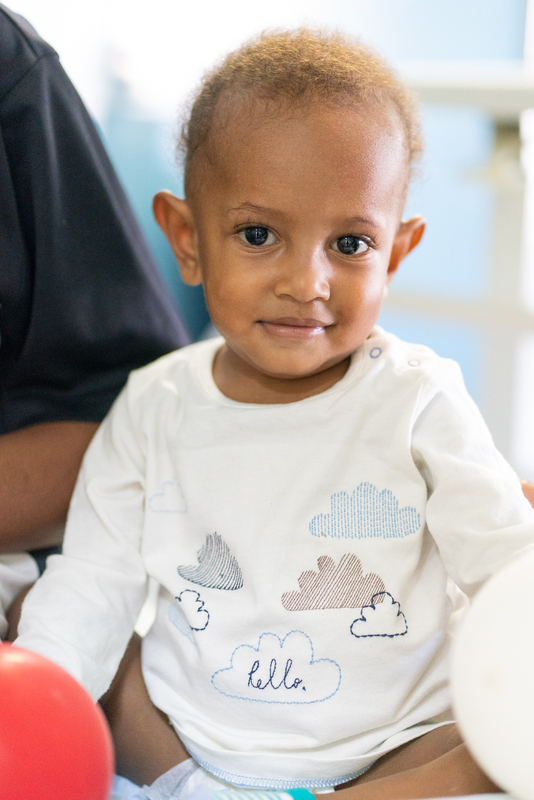 She has helped guide them through the procedures of physiotherapy in children following cardiac surgery. Following this, in the afternoon Renee sat down with the hospital physio staff for a bit of a meet and greet training to kick off the week. They went over some basics, brushed up on existing knowledge and techniques and then mapped out what can be covered for the week ahead. 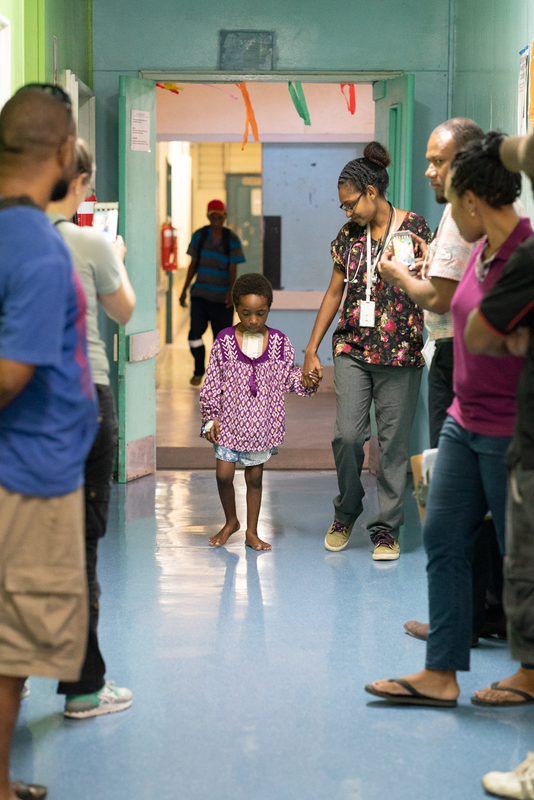 Claire Pounsett, a Clinical Nurse who works in Paediatric Intensive Care in Adelaide is getting her first experience of cardiac care here in Papua New Guinea. 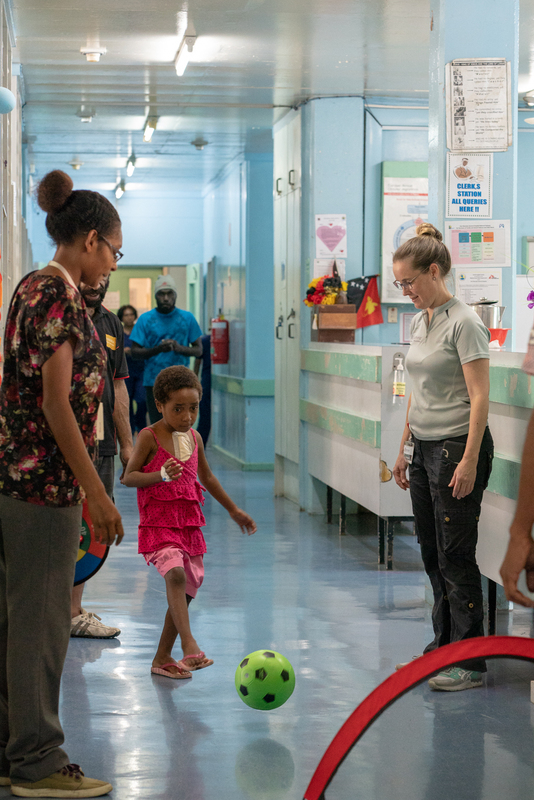 Claire has previously been to OHI’s Cambodia project which was again a different role to PNG. 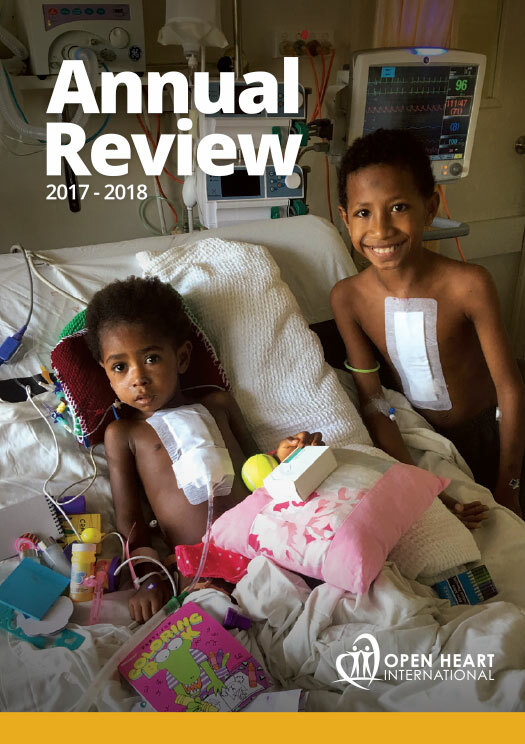 Here she has had the opportunity to take her existing medical skills in children’s intensive care and apply them to the cardiac specialty the trips focus’ on. 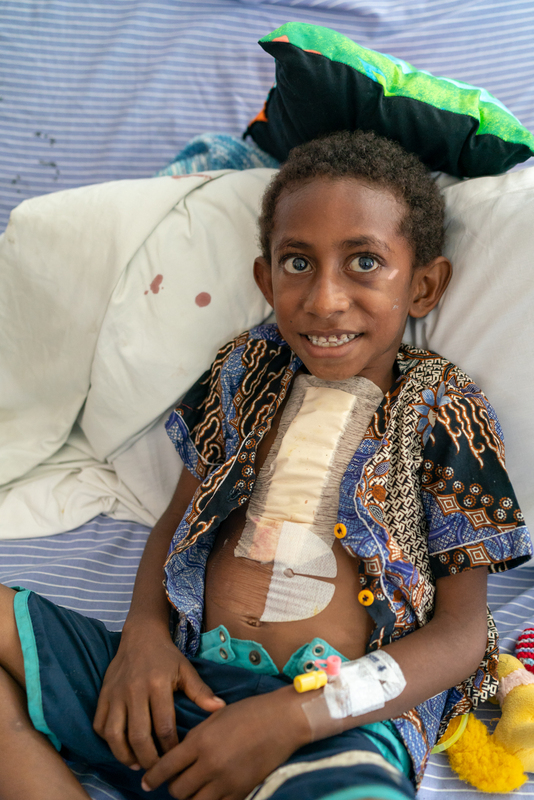 Everyone is looking forward to learning from each other as the week continues and helping shape the foundations of cardiac surgery and care here in Port Moresby and the greater Pacific region.